This giveaway is now closed! Winners are being contacted. I have fourteen (14) print advance review copies of Wild Wolf that need a new home!! If you want to win one (signed by me), please leave a comment in the comment space, telling me 1) Why you want to win; and 2) an email address where I can reach you (no good you winning if I can't tell you!). 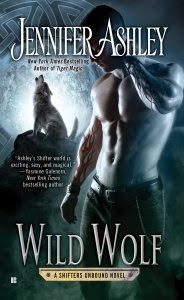 Wild Wolf won't be out until April 1--here's your chance to read it early!! (If you have trouble posting a comment heres, you can email me directly (jenniferashley @ cox.net no spaces; or post to Facebook (http://www.facebook.com/jenniferashleyallysonjamesashleygardner; or Tweet me at JennAllyson). I will be taking comments until Wednesday March 5th, contacting the winners shortly after that.